Get your chowder on in San Fran! We headed to Boudin at Fisherman’s Wharf for some clam and potato bites of goodness underneath a savoury soup. 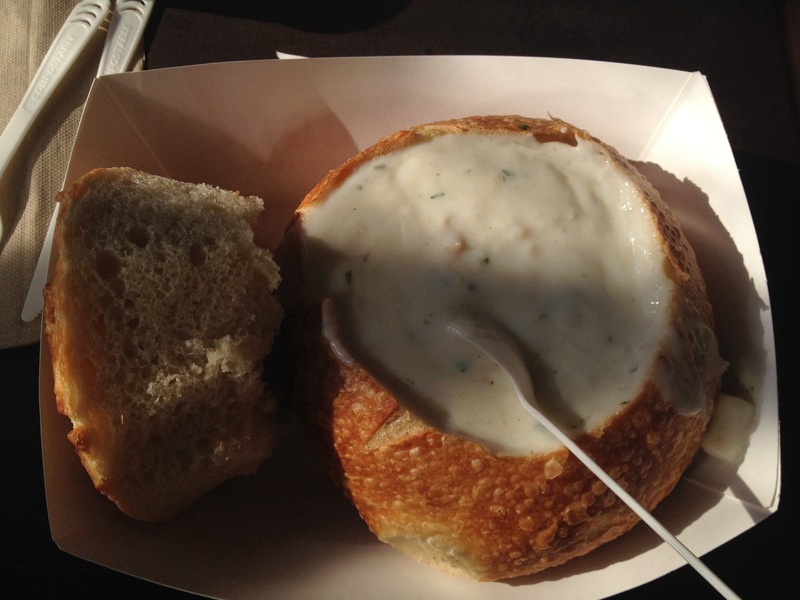 There are many options for chowder in San Fran, but Boudin is probably one of the most recognized spots for it. Not to mention that eating chowder next to the pier is a different experience than in the city. Without hesitation, I went straight for the Clam Chowder (USD8.50) filled to the brim in a sour dough bread bowl. Every ingredient was unique with mouth melting potato cubes and juicy clams washed down in a creamy soup. The only thing missing here would be celery bits. 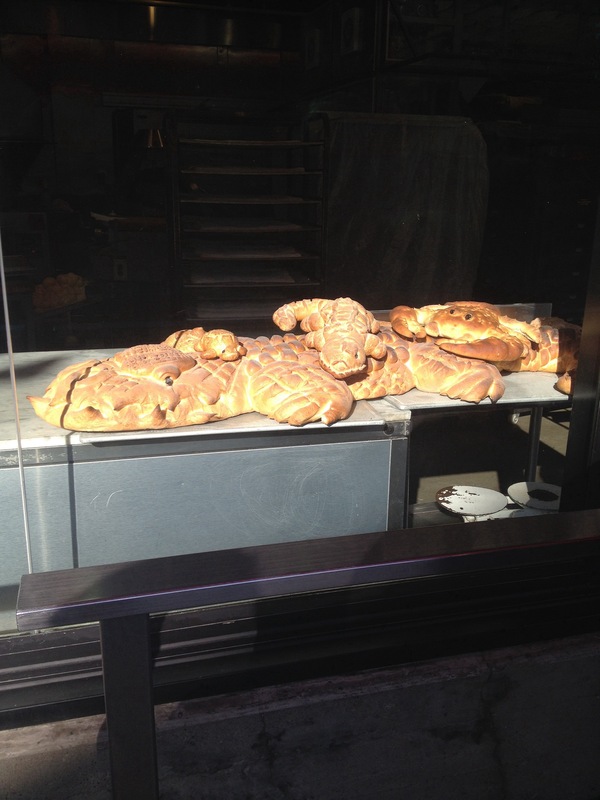 Massive bread baked into shapes of different sea creatures. 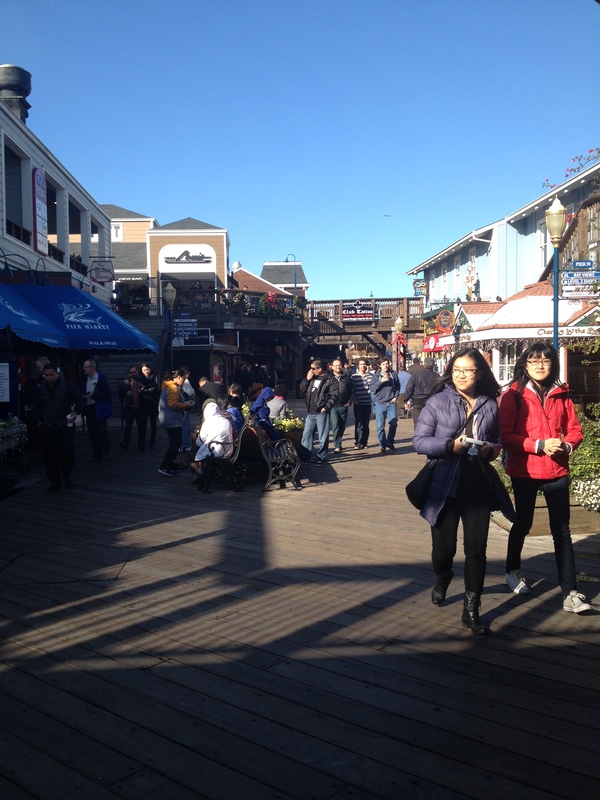 Every tourist in San Francisco has probably been to Fisherman’s Wharf. You can spend the entire day walking down the piers with all sorts of shops available from souvenirs, movie posters, ice cream and milkshakes to beauty products. In addition, there are also local performers along the pier juggling knives, painting or dancing. With that all that in one place, I can’t find a reason why anyone would sulk when they’re there. 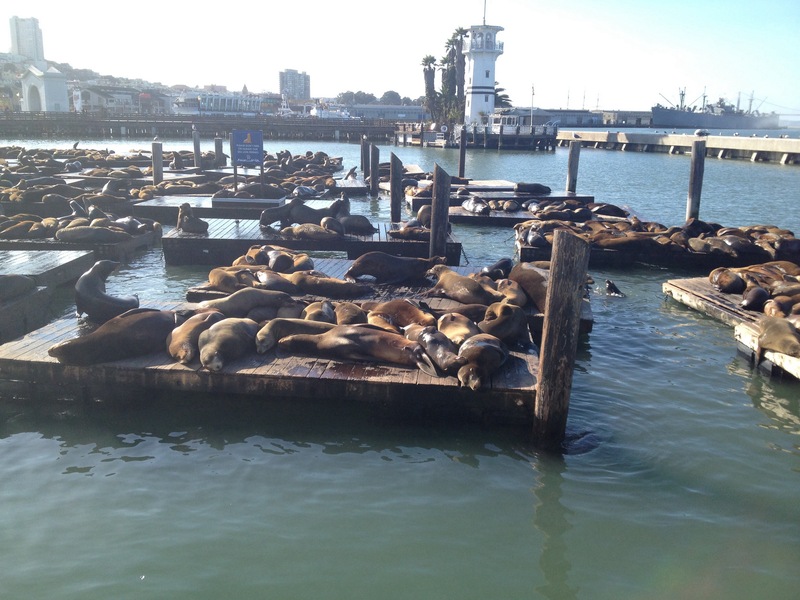 While you’re walking along Fisherman’s Wharf and licking a smooth and creamy ice cream cone, make sure to visit the seal lions at the pier as well. It’s quite a sight to see hundreds of seal lions sleeping on the docks or swimming in the water in complete freedom.